AP SBTET Diploma Time Tables 2019: SBTET AP Diploma Time Tables March/April 2019 For C16, C14, C09,ER-91 Regular/Supply Exams are released at sbtetap.gov.in. Students can download Andhra Pradesh SBTET polytechnic time tables 2018 below. Also Check : JNTUH General Holidays & Optional Holidays List 2018. Also Check : JNTUH B.Tech/B.Pharm 2,3,4 Year Academic Calendar For A.Y. 2017-2018. The State Board of Technical Education & Training (SBTET) AP Diploma Regular/Supply Examinations C16, C14, C09 & ER-91 Time tables March/April 2019 has announced. All the hopefuls who were keen to know the examination dates, timings and other important details can check from the AP SBTET Official website, sbtetap.gov.in. The AP State Board of Technical Education has announced the complete dates of Diploma/ Pharmacy exam for all years. Hence all the aspirants presently undergoing the Diploma / Pharmacy courses under SBTET AP can check and download the AP SBTET Diploma Regular/ Supply timetable 2019 PDF from the SBTET official website, sbtetap.gov.in. Here we have listed the information about AP SBTET Diploma Timetables 2019 March/April examinations. Go through the article to know the complete info. Check AP SBTET Diploma Date Sheet: The AP State Board of Technical Education & Training (SBTET) is the state level technical education board that offers various Diploma courses, Engineering and Pharmacy courses for aspirants. Annually a huge number of candidates obtain the education under SBTET. It also conducts the academic examinations in October/November months for all the students. Candidates those were pursuing under SBTET and waiting for SBTET AP time tables 2019 for Diploma, can check the time table from the official website, sbtetap.gov.in. All the hopefuls anxiously waiting for the AP SBTET Diploma Regular/ Supply Time Table 2019 can download the PDF from the below given links. The AP SBTET examinations 2019 were scheduled to happen from 25-03-2019. Hence all students must focus well to get good score in the examinations. Also Check : JNTUH B.Tech (R13) Aggregate Marks Calculator (Percentage Marks & Credits Calculator) For All Branches. AP SBTET polytechnic time tables 2019: SBTET– Board Diploma Examinations of C-16, C-14, C-09 & ER- 91 Pharmacy-schemes – Regular& Supplementary / Backlog Examinations to be conducted in the month of March/April 2019 time-table . I enclosed herewith a detailed Time Table to conduct the Diploma Examinations for all backlog subjects of C09, C-14 & ER-91 Pharmacy schemes and regular with backlog subjects of C-14 & C-16 Schemes. The said examinations are scheduled to be commenced from 25-03-2019. Copies of the Time Table shall be “placed on the Notice Board” for the benefit of the students. The Principals are requested to verify the Time-Tables, and if any discrepancies are found, the same shall be brought to the notice of the “Deputy Secretary, Pre-Exam Section in the Board” immediately for taking necessary action. Further, it is also informed that, if any clash found in the time-tables between additional subjects’ vs backlog subjects in respect of re-admission candidates, the same shall be informed along with PIN of the candidate and subject details to the Board immediately through E– mail id: www. [email protected], so that Board will issue separate dates to appear for additional subjects where the candidates are unable to appear their additional subjects due to clash in time table with their backlog subjects. The above time-tables are also placed in the website (i.e.) www.sbtetap.gov.in. NOTE: The Practical exams will be conducted on the dates notified by the principal as per the dates notified in the notification. Look for the examination Time tables section on the homepage. 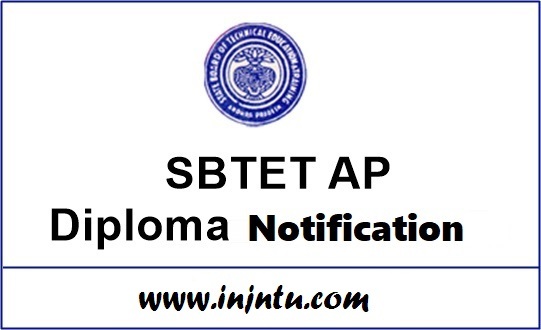 The SBTET AP Diploma Time tables 2019 Link will be enabled before 2 weeks of the examinations. Click on the link and enter the requisite information of registration number, password etc. And finally click on ‘Download’ Button. The SBTET Diploma Timetables 2019 PDF is going to be downloaded on screen. Go through the time tables to check all the details such as dates, and timings etc. Don’t Forget To Share This AP SBTET Diploma Time Tables (C16, C14, C09) Regular/ Supply Exams March/April 2019. Among All Your Friends & Colleagues. Make Them Check Their AP SBTET Diploma Time Tables (C16, C14, C09) Regular/ Supply Exams March/April 2019. Also Share This Info On Your Social Media Pages. Feel Free To Get In Touch With Us Regarding Anything. We Will Revert Back To You As Soon As Possible.